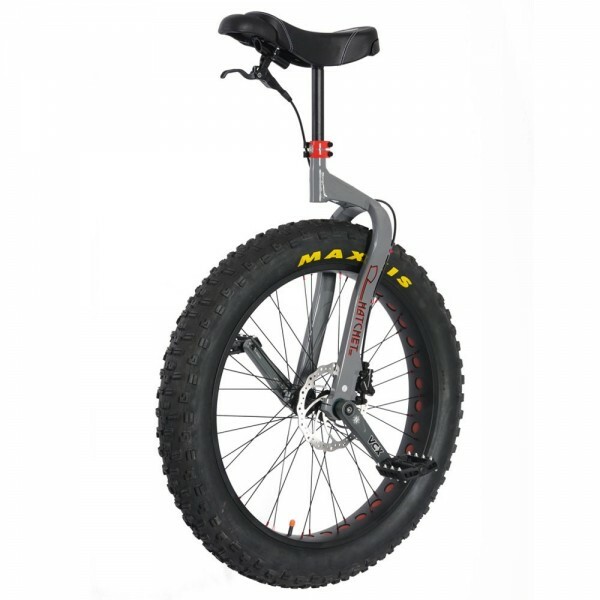 The Hatchet unicycle builds on the amazing platform that the Oregon created and moves it on to the next level. 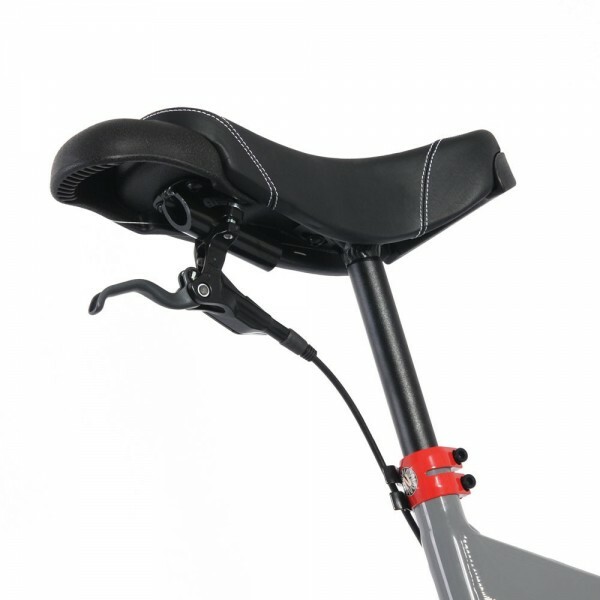 The frame comes with the brake installed on a new precision IS frame mount for more rigidity through the brake caliper. The hose is also clipped in place with red aluminum hose clips. Comes with the 80mm wide Nimbus Dominator+ rim wrapped in the Massive Maxxis Minion FBR 4.8" tyre. The main challenge with “Fat-Uni’s” is the requirement for a super wide frame. This can make it uncomfortable to ride as it catches the riders' legs. 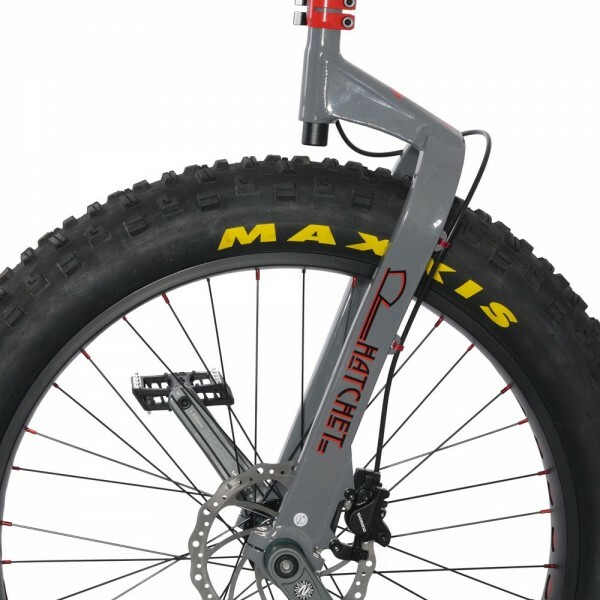 To resolve this the Nimbus Hatchet moves the frame behind the riders legs giving maximum clearance. This also means you can run some of the largest tires on the market, which includes the Snowshoe 5.05" tire. This frame will hold a tire up to 26" x 5.05", 27.5" x 4", 29" x 3.0" and a 32" x 2.125. 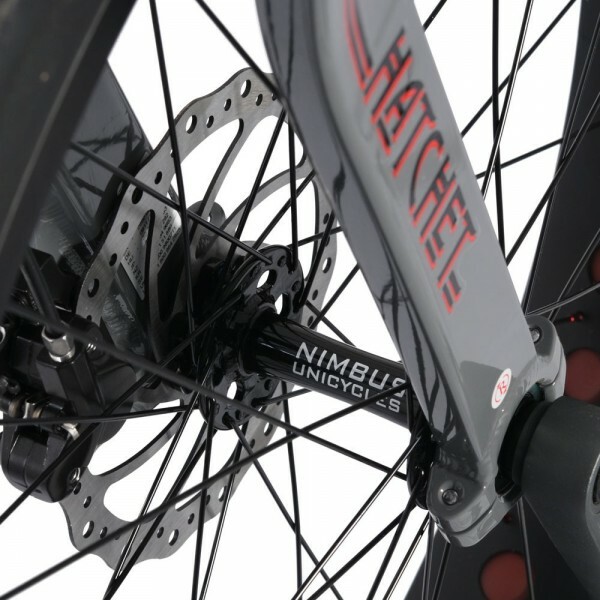 Frame: Nimbus Hatchet 26" (gray) aluminum with 42mm machined bearing housings, with IS disc brake mount. Rim: Nimbus Dominator+ 36H, 80.2mm wide, single skin with cutouts.